The TRiLIGHT is a simple way to shed new light in your poorly lit garage. 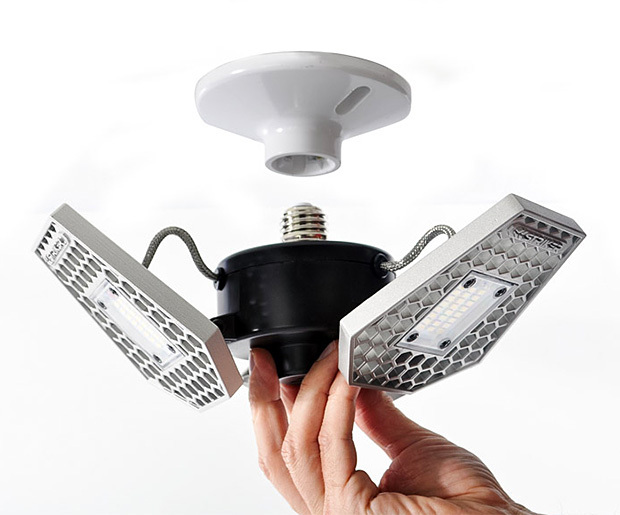 It screws into a standard lightbulb socket and features 3 adjustable light panels that use efficient LED bulbs to put out 3000 lumens of bright white light. That’s nearly 4-times brighter than a 60-watt bulb but uses just 25W. The TRiLIGHT also features a motion detection sensor, so it goes on instantly. A funded Kickstarter.